When thinking of Mexico, Yona, who hails from Havana, comes to mind for Mexico was the land of her dreams. That was before she set foot on Mexican soil, for the Mexico on her Cuban television screen and the real Mexico were not even remotely comparable. 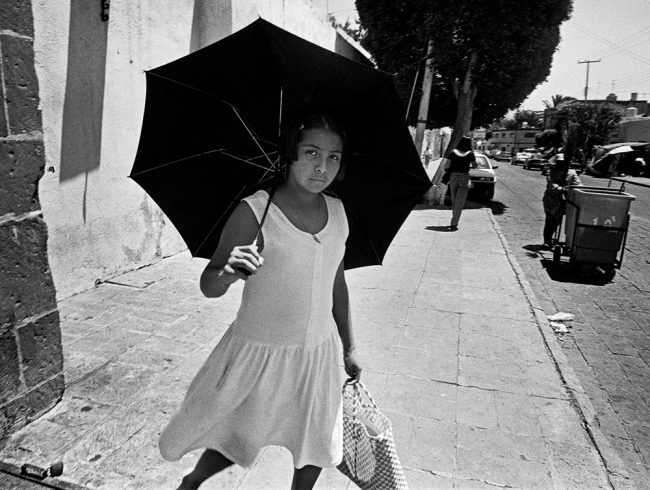 Mexicans, as far as she was concerned, were tall, wearing moustaches, sported gel in their hair, and were gentlemen; the real Mexicans however were constantly whistling after her so that she felt she couldn’t cross a street without being bothered. By the way, she loved being whistled after (she missed it in Switzerland) but in Mexico (this was in Oaxaca) it was simply too much. 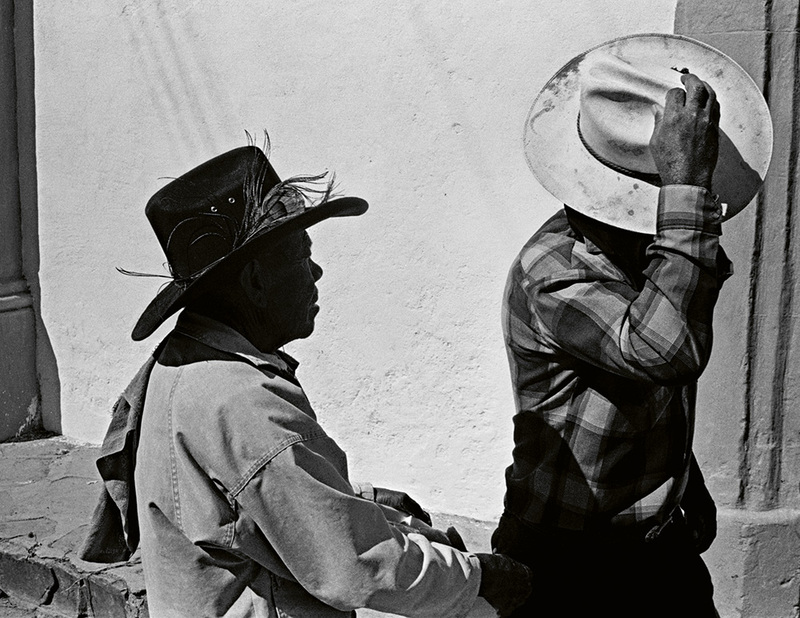 What I also relate to Mexico is Malcolm Lowry’s novel “Under the Volcano” (the story of an alcoholic British consul in a small Mexican town on the Day of the Dead in the late 1930s) and quite often pictures of that movie appear in my mind when looking at Harvey Stein’s photographs. 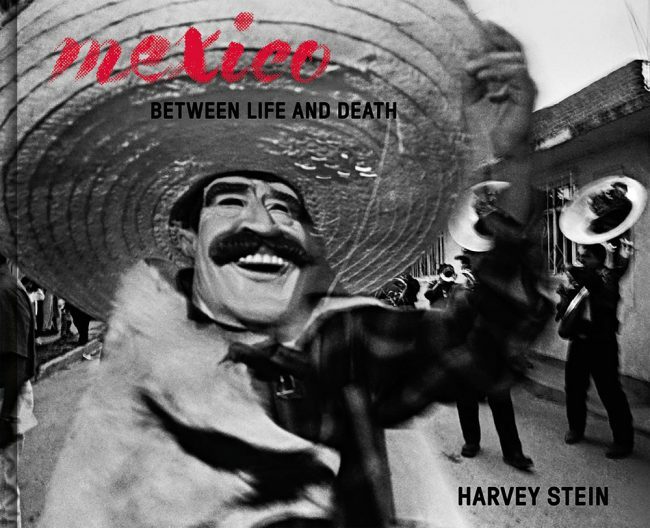 Photographer Harvey Stein cites another writer, Michael Dirda: “Many cultures believe that on a certain day – Halloween, the Irish Samhain Eve, Mexico’s ‘Dia de los Muertos’ – the veil between this world and the next is especially thin.” And, he quotes from Susan Sontag’s “On Photography”: “Strictly speaking, there is never any understanding in a photograph, but only an invitation to fantasy and speculation.” Looking at his pictures, I constantly come back to this quote – and find it always a liberating experience. 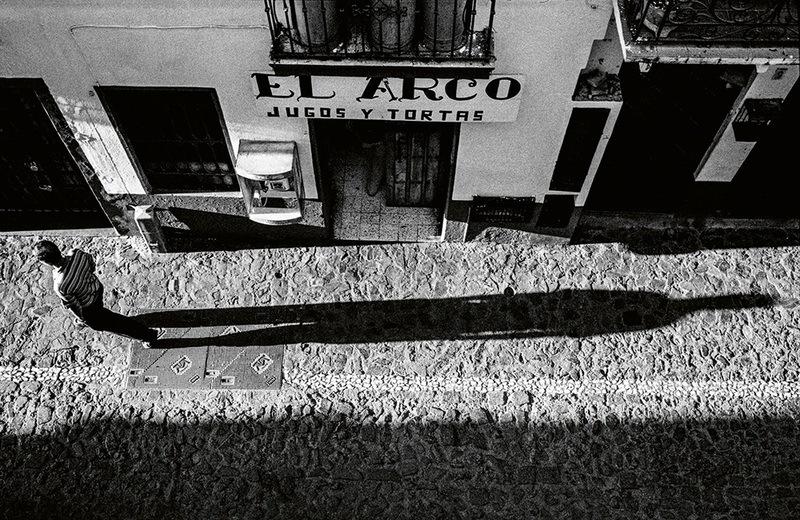 Harvey Stein is showing me a Mexico that I haven’t seen myself despite having visited quite some places in this book – which is why I’m fond of photo books for they show me what otherwise I would have missed. Many of his photographs make me think of scenes from Fellini-movies. “These photographs provide an illusion rather than a representation”, he writes and this captures it nicely.